Digibuddha "Will you be my Bridesmaid?" cards are professionally press printed in our shop just outside of Philadelphia. 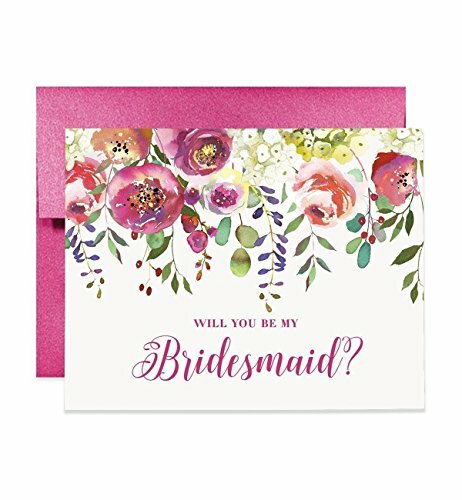 Rainbow colored ink with beautiful calligraphy details on natural white paper, paired with a fuchsia shimmer envelope. Folded card, blank inside. • size: A2, 4.25 x 5.5"